run lucas run: kinder! survived. Oh, Lucas Jude. 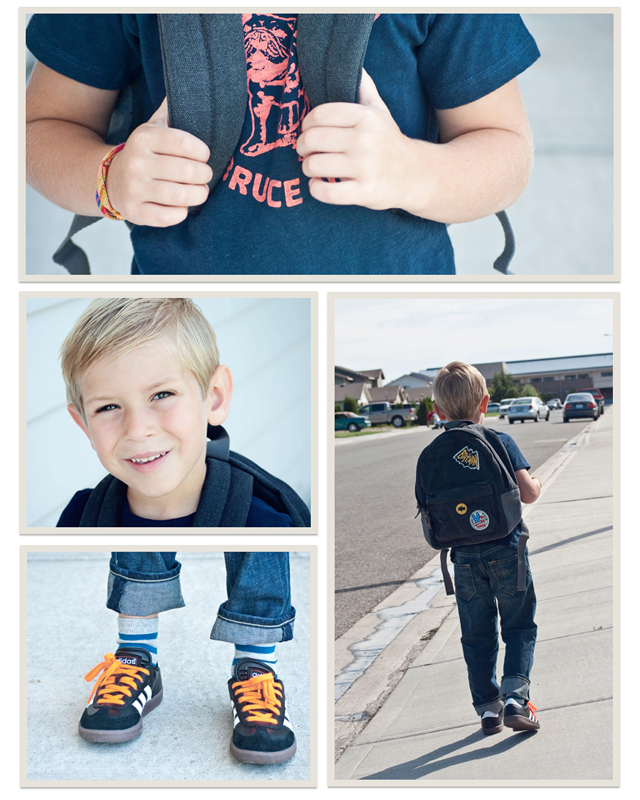 You are so handsome and so ready to take Kinder on! Hooray to you, Lin for surviving. It's tough, huh? He's so handsome! So glad you both had a great day!! I'm sure it's a good feeling to have that first day behind you both...I can only imagine. What a cutie! Kinder is the best!!! Does he get to walk to school!? Congrats to you and your boy! And how did you get him to accessorize? We fight on just socks alone. His outfit is adorable. amazing day! Seriously, was he the cutest kid at the school?? It's okay to say yes. He is so, so handsome. Congrats to you for surviving such a hard day. Even after 11 years of sending them off to school, I still found a lump in my throat as I dropped them all off yesterday. Aw he looks so cute!